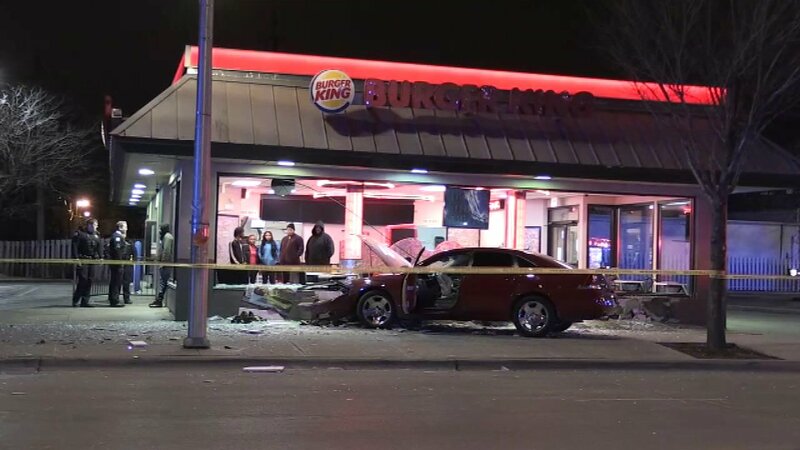 CHICAGO (WLS) -- A driver lost control and hit a person on the sidewalk before crashing into a fast-food restaurant on the city's West Side Saturday morning, police said. Police said the driver lost control after another vehicle cut him off in the 3900-block of West Chicago at about 2:53 a.m. He then struck a 36-year-old male pedestrian who was walking down the street before hitting a Burger King, which had extensive damage. No one inside the car was hurt. The pedestrian who was hit was transported to Mt. Sinai Hospital in stable condition. Police said the driver was not issued a citation.